Twinflame soulmates often meet when it is meant to be their last physical incarnation on earth. Some believe that when soulmates meet during their last physical incarnation that they are both free from karma, having resolved most of it throughout their life and past lifetimes. But twinflame soulmates can and do often have karma that must be resolved, and meeting your twinflame is a wonderful opportunity to look at the energetic reflection of your soul where negative and positive qualities are often amplified. This makes karma easier to resolve with your twinflame but can also create it faster! During the ascension process soulmates can help each other in many ways. They bring up within each other the deeper levels of emotion that need to be released for healing. This process often requires someone as close as a soul mate because when there is a great level of love that exists between two people there is an opportunity for great healing on deeper levels. Soulmates are able to connect in a deep enough way to raise up areas of buried emotions and energies that need to be brought to the surface to be veiwed, consciously ackowledged and healed. It can be a gentle process and experience, but often a gentle approach does not work enough in releasing these areas. It can be an intense process at times and conflict is often the result if one or both of the soul mates are not consciously prepared or ready for this experience---not ready to face their own soul and their own unresolved issues. When this happens often it is necessary for one of the soul mates to leave the other. This can be quite devastating because the deeper the bond of love is between two people, the deeper the heartache of the separation or conflict can be. If this happens, it is important not to judge the situation too harshly. It may be easy to stay bitter at the partner who left, but it is often a great act of love undertaking by the soul. If you consider the larger picture, you may see the absolute necessity behind such a move. The larger picture involves the twin flame and the completion of life on Earth and oneâ€™s ascension. Sometimes the seperation is best for the soul growth of the individuals, especially if unresolved conflicted as a result of the union is keeping the two soulmates from doing the necessary spiritual work and healing for their own selves. 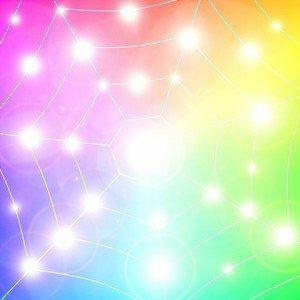 The soulmate and twinflame connection is a wonderful way for us to see a reflection of those areas within our own selves that need to be healed, but the inner work must be done by each individual for themselves. A soulmate or twinflame relationship is not a magic quick fix that will suddenly heal and complete you and resolve all of your personal issues. The powerful twinflame connection can suddenly open up a box of unresolved issues and it can open the doorway of opportunity for this healing to occur, but you have to be ready to do the inner work that is required. The result is a beautiful relationship, a deeper understanding of yourself and your soulmate, and soul level progress that is an essential part of the ascension process.